Good editing is the key to communicating effectively. 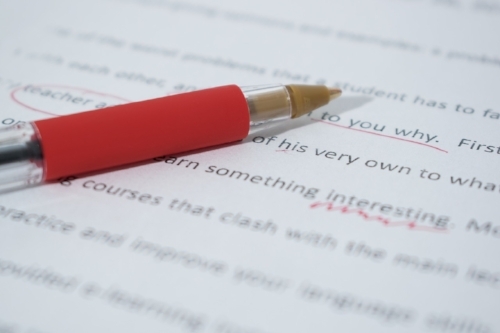 Whether you're a novice or veteran writer, everyone needs an editor. It's hard to see the typos, grammatical mistakes and extraneous words in your own writing; a second set of eyes is key to making sure your work is ready to share with the world. I'm an experienced editor with a sharp eye who loves to help writers polish their work to perfection while preserving their unique style and voice. I have edited online and print media, manuscripts for radio, resumes and cover letters, and scientific texts. I'd like to help you with your project, too. * Nonfiction: Copy editing, line editing, structural editing. * Fiction: Copy editing, line editing. * Deep understanding of grammar and spelling. * 20+ years experience with Associated Press style. * Working knowledge of Chicago Style. * Editing with an eye toward using the most inclusive language. * Preserving writers' style and voice. * Helping writers work toward the best version of their work. * Shaping content and tags that enhance visibility and SEO. Interested in hiring me to edit your work? Please contact me with a description of your project, and to inquire about my rates.